If you’re thinking of buying new home appliances in Spain, you may have seen in stores the latest Fagor promo offering a 10-year guarantee. Here we let you know about the small print, so you can decide whether or not it’s worthwhile. The tagline for this promo is “the best guarantee is one that substitutes your home appliance for a new one if necessary” and details can be found on Fagor’s website: Compromiso10Fagor.es. The promo is valid on items bought from 1 May till 30 September 2013 and only covers ovens, extractor fans and microwave ovens (see list of models below). 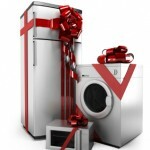 Appliances must have been bought and used in Spain and the model purchased must be clearly shown on the invoice. You can request replacement of an item when a technician from Fagor deems that it is irreparable or when an appliance has stopped working three times in the first 10 years. 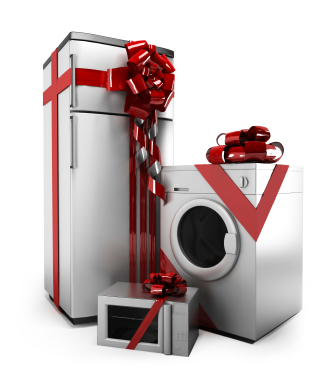 However, it’s not enough just to buy an appliance and ask for an invoice. You’ll have to register with Fagor online within 45 days after purchase and send a scanned copy of the invoice and the guarantee card that comes with your item (you can alternatively send copies by post but remember to always keep the originals). Once Fagor have reviewed all these details you’ll be sent a certificate (by post) that shows that your purchase has been included in the promo. Remember that you need to keep all the paperwork for 10 years including the original invoice! If you have any questions you can contact Fagor on 902 10 50 10. We reckon that if Fagor really thinks that this is the best type of guarantee for consumers, then why is it only available for a limited time?